Somewhat prophetically, the ‘plebiscite’ of the U.S. did indeed elect the populist Donald Trump, much as the ‘small-minded burghers’ voted for Brexit. But the condescending tone taken by the Progressive Left as somewhat encapsulated in the above excerpt, apportioning blame for the Brexit firmly at the feet of the rural, the old, the white and the uneducated, wantonly forgets the fact that this cohort is a major element of the Left’s voter base. The vote signified not only a vote against immigration, but a vote against globalisation. Globalisation – while perhaps increasing global wealth and leading to new efficiencies – has clear winners and losers. The educated middle-class urban areas are certainly big winners in globalisation, and the Labour party at present, drawing its new members predominantly from the urban middle and upper classes, unsurprisingly supported Remain. Labour today is perhaps just another example of the pre-eminence of the so-termed ‘cultural-turn’ in modern politics, where ‘politics of identity’ take precedence over the ‘politics of inequality’ (Leyshon, 1995). Labour has become progressive, liberal and globalist in outlook, proponents of what Rutherford terms ‘abstract, universalist values such as equality, social justice and sustainability…the free movement of labour, free trade and multiculturalism’. While proponents of these views are naturally loath to leave the European Union – one of the great promoters of transnational values and freedom of movement – it is important to realise that globalisation does lead to losers; those who are or perceive themselves to be economically vulnerable to the increased uncertainties of globalisation, and those who feel strong traditional value and cultural systems are being eroded by an increasingly broad if shallow plethora of loyalties. For what Guy Standing has termed as the ‘precariat’, the fluidity of globalisation, so beneficial for segments of society, is eroding the stability and security associated with traditional societal and economic structures. While immense wealth has been generated, the elephant curve of inequalities means that there are strong losers in globalisation, particularly evident in developed states like Britain where the urban/rural divide continues to be accentuated. There is a Swedish expression, asiktskorridor, which can be roughly translated as ‘opinion corridor’ – a socially-dictated conformity of opinion, views outside of which are not tolerated. The appeal of Trump, UKIP, nativist and anti-globalisation parties is in their rejection of an opinion corridor that is regarded as stifling the real concerns and experiences of people. They do not always offer the solutions, and some of the solutions they do offer will certainly make matters worse. But their apparent acknowledgement that the current globalised economy is not functioning for all is enough for many to support them. This is not a criticism of ‘opinion corridors’. Every society engages in them to some degree, and they play a part in maintaining social norms and cohesion. But when such corridors are tightly enforced and exclusionary in nature, it will only serve to ‘Other’ those on the outside, something Labour is now at risk of perpetrating even further. The elephant in the room for Labour and the Left is that the working-class in the UK, the backbone of the Left, voted overwhelming to Leave: seven out of every ten Labour constituencies to be precise. The party, while attracting hundreds of thousands of new Corbynite members, is losing ground in its traditional working and lower middle class electoral base, with a recent Guardian/ICM poll having Labour languishing 16 points behind their Tory rivals; unprecedented in Labour’s history as the largest party in opposition. 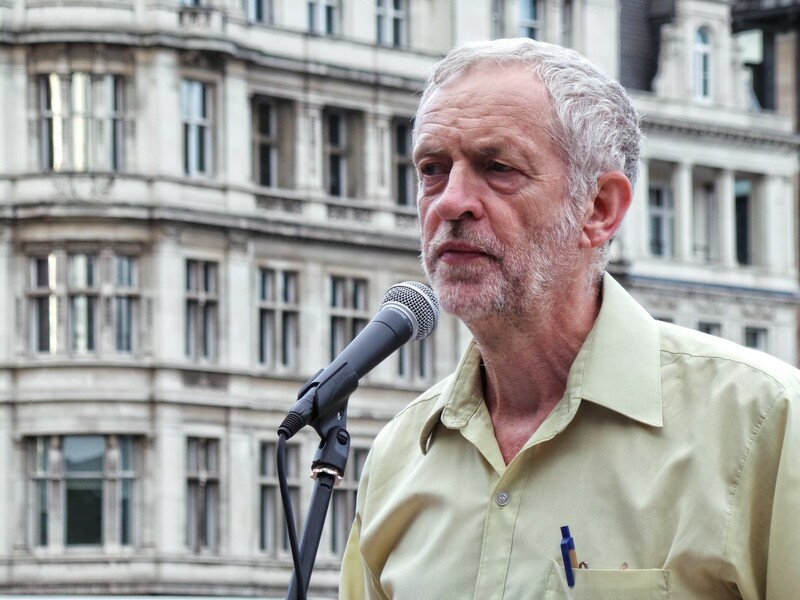 Corbyn, while drawing a loyal following in Britain and a cult status abroad, is leading a parliamentary party where the majority of MPs do not support him, and in a direction where the majority do not want it to go. This is a tragic scenario, not only for Labour, so long the stalwart of the Left, but for balanced government. While the LibDems do appear to be reviving somewhat, Labour is the shadow government and their obligation towards responsible opposition in parliament has been compromised by opposition within the party. Labour does not need to remain a time capsule of the Blair administration, and indeed a move back to the Left from pre-Corbyn flirtations with liberal-market ideologies and globalism is welcome in providing a real alternative to the Conservative party. However, there is now equally a need to realise its social crusading is leaving its core support bereft of a party to take up their cause, and leading many to switch to populism in the absence of realism. Leyshon, A. (1995) ‘Missing words: Whatever happened to the geography of poverty?‘ Environment and Planning A, vol 27(7), pp. 1021 – 1025. Milbourne, P. (1997) Revealing Rural Others. Pinter: London. Previous postThe European Pillar of Social Rights: A Timely Lifeline for the EU? Next postGuaranteed Income: a Dream or a Solution for 2017?